Mike is a great salesman , always working hard for us to get us what we need and want . Everything gets done in a timely manner , not making the process an all day event . My wife and I purchased a new Dodge Durango. This was a very pleasant experience. Chris was amazing. If you are looking for a new car you will not be disappointed. We are proud to be the premier new and used Chrysler, Dodge, Jeep and Ram dealership in the Monticello, Indiana area. Whether you’re looking to go on an adventure with the new Jeep Cherokee, or need repairs performed on your Ram 1500, Hendrickson Chrysler Dodge Jeep Ram has you covered without the hassle. We offer a complete lineup of new Chrysler, Dodge, Jeep and Ram vehicles. Choose from the commuter-friendly new Dodge Dart for a technology-rich, fun driving experience or the Chrysler 300 for both power and efficiency. We have a vehicle that matches every lifestyle, so come see our full new vehicle lineup at our Monticello, Indiana dealership. New cars are not our only specialty, as we also offer a comprehensive selection of used and Certified Pre-owned Vehicles. Our used vehicle inventory boasts cars from top auto manufacturers, and with our specials deals, their prices speak for themselves. Explore our inventory online to find the perfect vehicle at a great price. 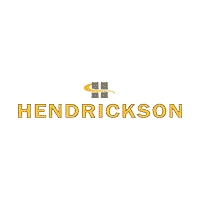 It is integral to maintain service on your vehicle to keep it functioning efficiently and performing at the highest level, which is why Hendrickson Chrysler Dodge Jeep Ram has an all-encompassing service center. We staff our facility with experienced technicians and stock our inventory with only manufacturer-certified parts. We value your vehicle and your business, so we provide convenient and high-quality service. We want to get your vehicle out of our shop and onto the Logansport and Lafayette roads as quickly as possible. You can reach us online, over the phone, or in person at our Monticello, Indiana dealership regarding any questions or concerns you may have. We value all of our customer’s opinions and are always looking to improve our process. Don’t hesitate to reach out to us today!